I was at a garden party yesterday. Was I starting my Canada Day celebrations early? No, it was actually a very Irish event. 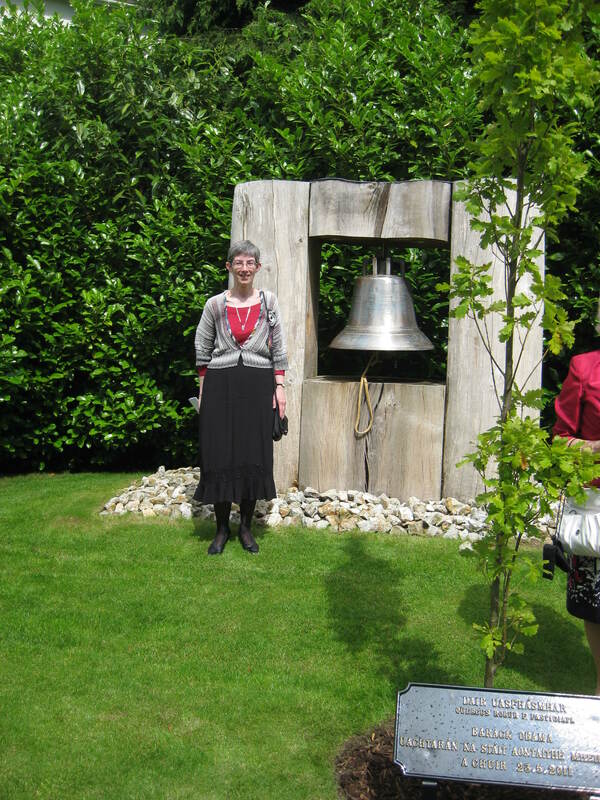 The garden party was hosted by President McAleese at Aras an Uachtarain to honour volunteers. I was privileged to attend it with fellow members of Fermanagh Creative Writing Group. I love historic buildings so it was wonderful to tour the public rooms of the residence. And the party was great – even in such an elegant setting it had a warm, relaxed feel and the staff were friendly and helpful. We won’t talk about the very tasty food and beverages – I should have been avoiding them if I’m ever to lose a few pounds…but I didn’t. And there was also a feast of music, especially vocal – a strong tenor, an amazing barbershop quartet and Paul Brady to top it off. I think the highlight of the afternoon for every member of our group was meeting President and Senator McAleese. We presented the President with a copy of our first publication, Stories From Charlie’s Bar. I hope they both enjoy our stories and poems and that the book will evoke memories of Fermanagh for Senator McAleese. 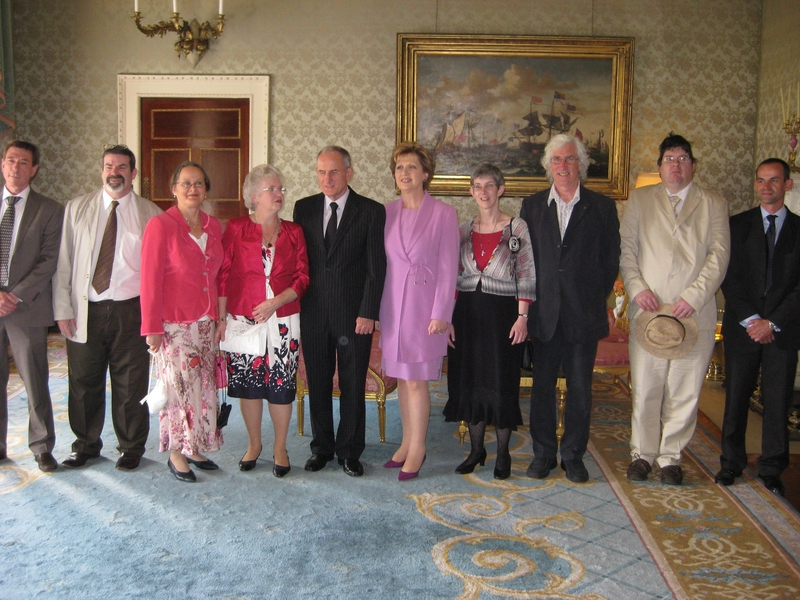 This entry was posted in June 2011, Uncategorized and tagged Aras an Uachtarain, Canada Day, Fermanagh Creative Writing Group, Mary McAleese, Peace Bell, President McAleese, Senator McAleese, volunteers. Bookmark the permalink.